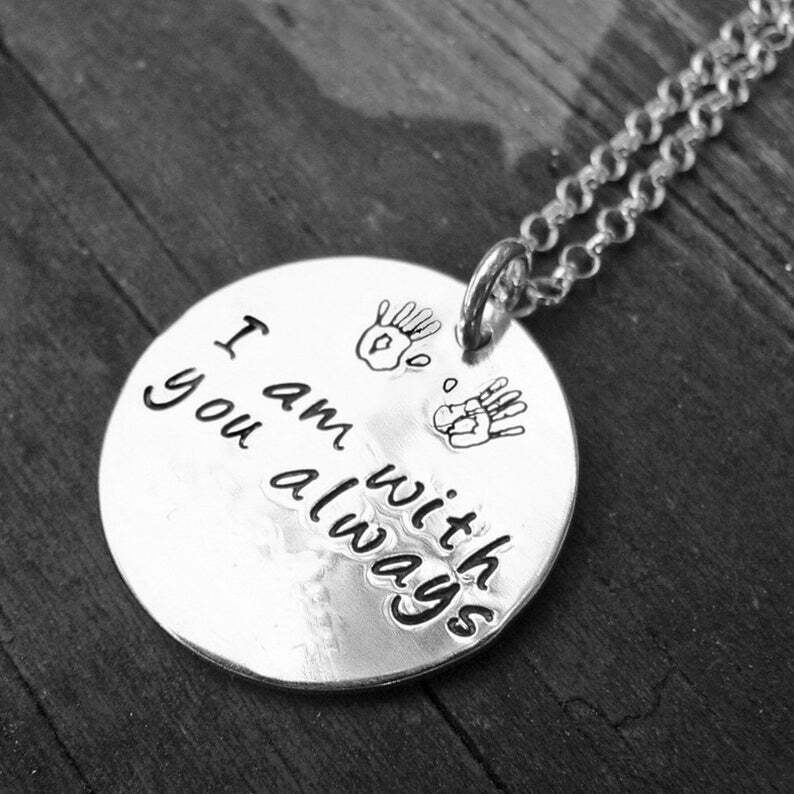 Have a necklace made just for you in our exclusive Script hand-stamped style! On a 1" diameter solid sterling 1mm thick disc, have us stamp what you want, in your choice of 12 fonts and over 320 symbols. Not sure if what you'd like will fit? Contact us and ask! The disc can be stamped on both sides. Suspended from a sterling rolo chain with secure hand-looped closures. Please indicate desired length of your necklace in the comments upon checkout. If no length is indicated, we will send a standard 16" sterling rolo chain with 2" extender. Prefer Greek Leather to sterling chain? Just let us know! We stock many colors, and finish with all sterling. Also, check out our MEN'S VERSION! ♥ We ship *all orders* US Mail unless requested otherwise.